I heard Cadena Eco on 1220 in late January 2008 carrying a soccer game including the team Vélez Sarsfield that compete in Argentina’s Primera División. I have tried several times to get this rare Argentinian verified. Finally it succeeded via Facebook. Thanks Jari Ruohomäki för help with the v/s. Gracias Flavio! 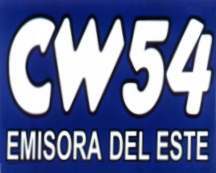 CW54 Emisora del Este in Minas is a quite rare catch here on 1580, a frequency that seldom gives any other SA-stations than the ones from Colombia and Venezuela. CW158 R San Salvador has been logged a couple of times in Scandinavia but also this station is a rare one, not to mention the many listed stations in Argentina. Emisora del Este was heard both during LEM 290 in 2010 and during LEM 319 in 2012. Thanks to Jari Ruohomäki I got a fresh v/s that rapidly confirmed my reception report. Thanks JPR! Last October and in early November the frequency 1010 gave many surprising loggings from the US. A frequency normally blocked by CFRB Toronto, WINS New York and a couple of CBC power houses were periodically surprisingly weak which offered the possibilities for many rare US-stations to appear. During this period at least KXXT Tolleson AZ, KCHJ Delanio CA, WMIN Sauk Rapids MN and KXEN St. Louis MO were logged by LEM319 and LEM320. I heard WMIN Sauk Rapids/St. 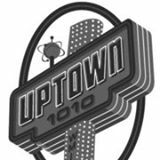 Cloud on October 26 with a rather nice signal for a while giving the slogan ID “Uptown 10-10”. Mark Persons rapidly confirmed my reception. Thanks Mark! 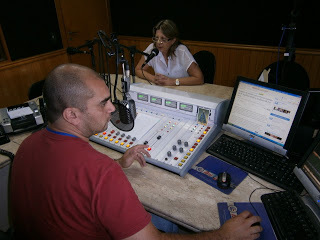 Radio Panamericana, Girardot has been received quite regularly during the last seasons in Northern Europe. 1140 is a rare HJ-frequency though, and earlier R Paísa of Medellin tended to be dominating here. Last October I heard Panamericana with a rather stable signal for over an hour even if the Canadian and WQII San Juan, PR tried to do their best. Jovanny Cedeño, Locutor – Periodista, writes in his confirmation “Queremos agradecerle su reporte de sintonía desde su localidad en Finlandia, es para nosotros motivo de orgullo que usted con su vocación, nos escuche desde tan lejos, queremos agradecerle su simpatía para con nosotros, muchas gracias nuevamente y esperamos que siga sintonizado con Radio Panamericana de Colombia”. Mil gracias Jovanny! Below a short mp-3 of my reception. KWOK is a regularly heard WA-station in Lemmenjoki, however not the most common WA-station on 1490. The mos common ones are KEYG Grand Coulee, KYNR Toppenish, KLOG Kelso and KTEL Walla Walla. KWOG carries ESPN and belongs to the Grays Harbor Radio Group that also owns KXRO 1320, KDUX104.7 and KIX 95.3 all serving the Morris County around Aberdeen WA. After a couple of f/ups I received a confirmation of my reception of KWOK from October 2012 from Pat Anderson, Operations Manager, Grays Harbor Radio Group. Thanks Pat! This blog has now been on line for one year. I have been surprised to the response from viewers. A total of a little more than 12000 hits, averaging 1000 a month, is far more than I had expected. The site has been visited by viewers from 67 countries all around the Globe. The most views come from the following countries: Finland 5493 hits; Argentina 1573; Sweden 1567; USA 756; Norway 468; Spain 411; Germany 210; Japan 187; Venezuela 168 and Japan 143. I thank you all for this positive respons and I will try my best to provide you with news stuff also during the coming year. Good DX!